My project is sketched in the Pop Art, Noir, and Minimalist Aesthetic art movements. I chose these because I believe that they show the most amount of variety between each aesthetic. 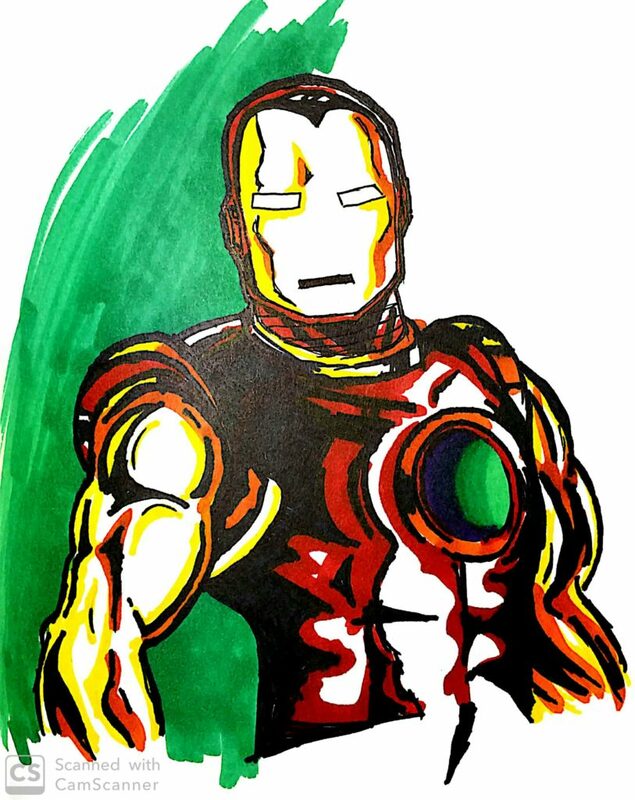 Pop Art Aesthetic works really well for this design as it came about during the 70’s when the Iron Man armor was originally conceptualized in the comic book pages. This involves bright and stark colors that contrast and clash with each other. They are separated by large and defined outlines of black. Even the shading is refined and follows an organized path around each protruding piece of the armor. 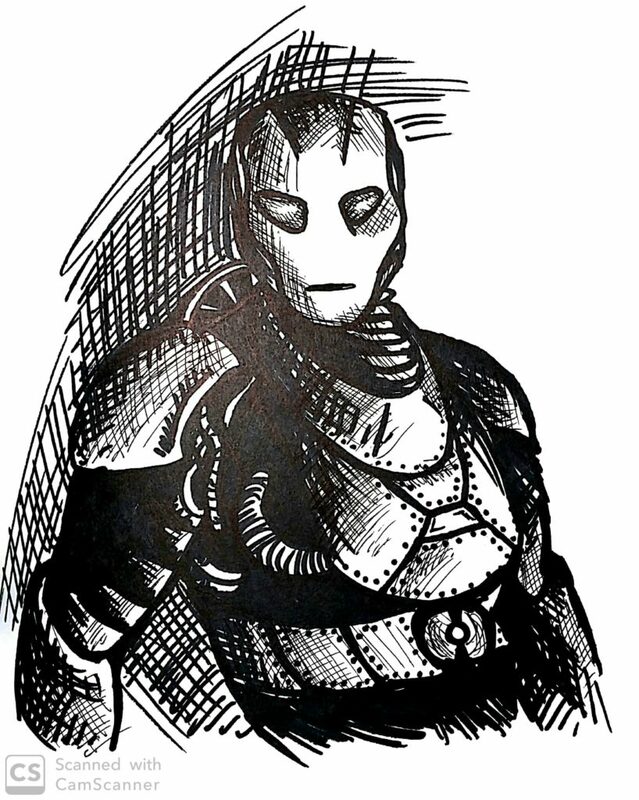 This aesthetic was not compelling in my final project because it does not resemble metal or armor at all. The sleek and strict shapes do not allow for a very large margin of error either. The Noir Aesthetic is really cool in my opinion and allows for many re imaginings of today’s classic designs. The darkness and rough nature of the black and white tells a story through its shapes and rough structure. This is very similar to the steam punk design that I finished with but it avoids color and relies more on organic shapes. This is similar to shadows or cloth in the wind. The Minimalist Aesthetic is similar to the Pop Art rendition in its colors but the primary feature of this design is the lack of curves. These curves are replaced with minimal lines that just barely allow for the finished product to be recognizable. Without shading and coloring, the design would be even harder to distinguish. 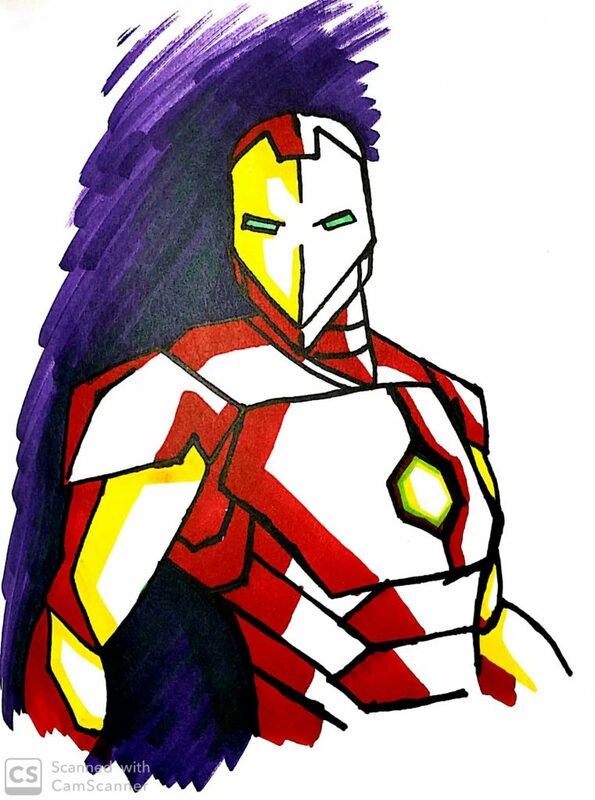 Minimalism does benefit the overall metallic feel behind the armor especially in comparison to the Pop Art aesthetic. The primary difference is the sharp lines that I hope to achieve in my final project. SteamPunk Aesthetic. This is an extra sketch that I added to this series that just represents my design intentions for this project. 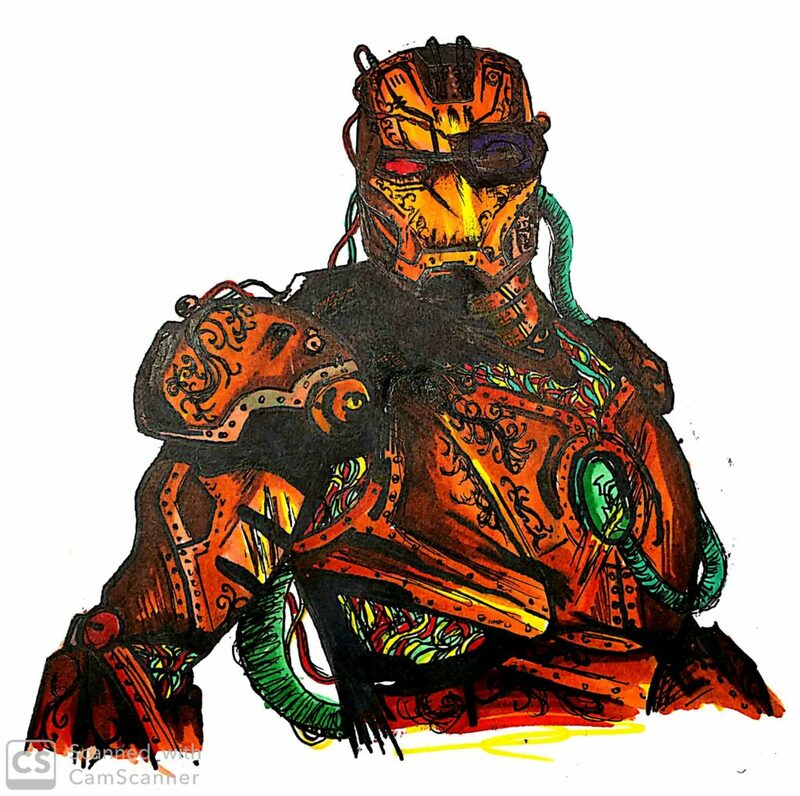 This is the combination of the Marvel Cinematic Universe inspired Iron Man design in combination with the steampunk aesthetic in order to create an original and more interesting design. It is certainly more detailed and more rough even in comparison to the noir aesthetic. This was my final aesthetic intent because I find it to be the most visually intriguing. I hope to capture the details found in this conceptualized image.